Snowblowers.net was created to provide information and reviews on snow blowers. As consumers ourselves, we found it difficult to find helpful guidance online. Information was scattered across websites, forums, and product reviews at retail sites. Recommendations seemed geared toward the most powerful and expensive machines. Cheaper alternatives were easily dismissed. It felt like regardless of your situation, you were expected to purchase the same machines. We see things a little different. Yes there are people who would be best suited to buy the most powerful snowblower money can buy. But there are others who just need some assistance for light snowfalls. We try to treat snowblowers not just on how they perform in the worst conditions, but for what situations they can effectively operate in. 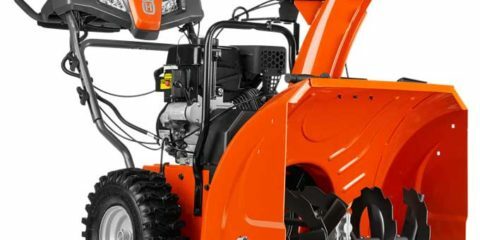 If a $300 snowblower can handle your climate, why spend $1400? On top of reviews, we hope to offer some helpful information for buying or maintaining your existing machines. These guides will provide guidance when shopping on your own. As lifelong inhabitants of the upper Midwest, we’ve experienced our share of snowstorms and blizzards. We are passionate about landscaping and home improvement. Reviews on this site are written by a 12-year veteran of the home improvement industry. He has sold snow blowers, lawn mowers, and other major equipment over the years. Working in landscaping and snow removal in the Chicago area, he has either used or has intricate knowledge of many of the machines out there today. Note that these reviews should not be your only source of information. It’s just one mans opinion. Please thoroughly research the snowblower you are interested in before purchase. A demo of the model in store is recommended as well. Products are not reviewed in any particular order. They are done when there is enough information available to offer a consumer. We do our best to cover a broad array of models in all price categories. Please understand that reviews are limited to snow blowers we have access to or have worked on in the past. So if you don’t see a particular snow blower reviewed or mentioned on this site, it may be as simple as our reviewed not having enough experience to offer insight. This site will occasionally use affiliate links to online retailers. If you choose to purchase an item through that retailer, we may receive a commission for that purchase. These links have no bearing on our reviews. We do not accept direct compensation from any manufacturer mentioned on this site. SnowBlowers.net is a participant in the Amazon Services LLC Associates Program, an affiliate advertising program designed to provide a means for website owners to earn advertising fees by advertising and linking to amazon (.com, .co.uk, .ca etc) and any other website that may be affiliated with Amazon Service LLC Associates Program.